Despite being a little pricey, Samsung Note 9 Singapore really did provide a pretty complete hardware package, and a nice user experience. So now that 2018 is over, I think it’s time to talk about the phone again. Because at this point in time, I think the Note 9 is pound for pound, the best Android phone that you can buy right now. I’m not going to go in-depth here since most of what I’ve mentioned in my review still holds true today. It’s a good looking phone, it’s built really well, and it comes with basically everything that you would expect from a flagship phone. It’s actually a little unique in the sense that it doesn’t really follow the trend, and I love it for that. The display doesn’t have a notch, it still has a headphone jack, and it still has a microSD card slot on top of the massive 512GB variant that you can get. These are the reasons why I still think that it’s a better overall hardware package compared to even the newer Huawei Mate 20 Pro. The new 7nm processor might be more powerful, but the other features like reverse wireless charging for example just isn’t as useful to me. I haven’t even mention the S-Pen yet which not only slots right into phone, but also brings with it useful features. Even if you don’t draw or take notes on your phone, it’s still somewhat useful as a camera remote trigger. Talking about features, because I typically prefer a cleaner version of Android, I actually ended up turning off most of the features except for a handful that I use on a daily basis. I’ve disabled a ton of apps as well, and I don’t even have a Samsung account on the phone anymore. I still think that the amount of features here are a bit of an overkill, I’m talking about Bixby of course, but I’ve actually grown quite fond of the overall experience. Small features like the pressure sensitive home button, the ability to take a long screenshot, the ability to quickly write something down, or just having more customisation options. These are features that makes things a lot easier in my day to day use, and I don’t have to sift through all the junk in the Play Store to find a decent app that does what I want. Design is also something that I’ve grown to appreciate in regards to the software on the Note9. I’ve used plenty of phones with heavier skins, like EMUI, ColorOS, MIUI, or even LG’s UI. But I still think that Samsung does a better job when it comes to presenting a cohesive looking UI design. Anyway, it’s no longer like the olden days where a heavy skin would negatively affect performance and battery life. 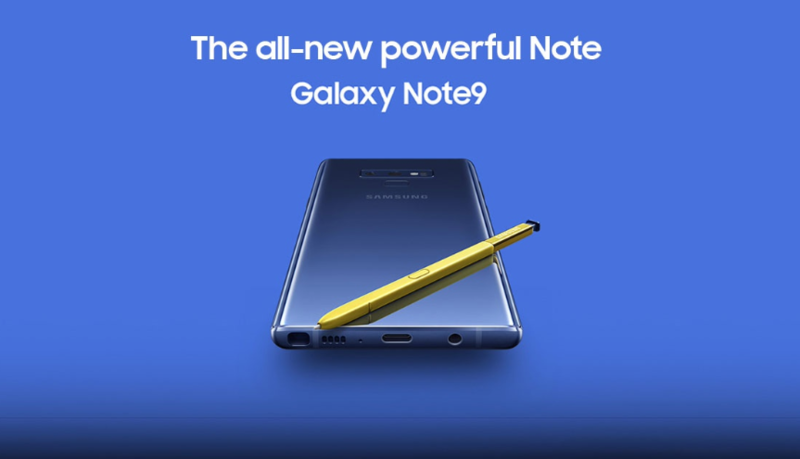 Take the Note9 for example. I’ve had no issues when it comes to day to day performance, and battery life has been superb as well, easily lasting me a full day of use with over 7 hours of screen on time. By the way, I’ve used both the Exynos and Snapdragon variants of the Note9. I’m sure that if you do benchmarks or compare them side by side you’ll notice a slight difference. But in normal day to day usage, I didn’t really notice any major differences. I won’t go too much into camera performance since there isn’t really much to talk about. It still takes really nice photos, but I tend to prefer Google’s style of image processing a little bit more. It’s still a great camera though, just have a look at the camera samples that I’ve linked in the description below. With all that said, the main thing that makes the Note9 the best phone that money can buy right now, is simply the price. Phone prices here in Singapore are typically pretty competitive, and prices gets adjusted all the time, especially for older models. So if you compare the prices from a local retailer here, the Note9 is just the obvious choice. Sure, the Pixel 3 XL has better camera performance, but it loses out in terms of the overall hardware. The Mate 20 Pro has a faster processor, but I don’t think the overall experience is as good. The OnePlus 6T has a nicer software experience, but it’s missing so many hardware features compared to the Note9. When you factor all those things in, the Note9 is just such a good deal. If you’re looking to get a brand new flagship Android phone soon, the Note9 should definitely be at the top of your list.